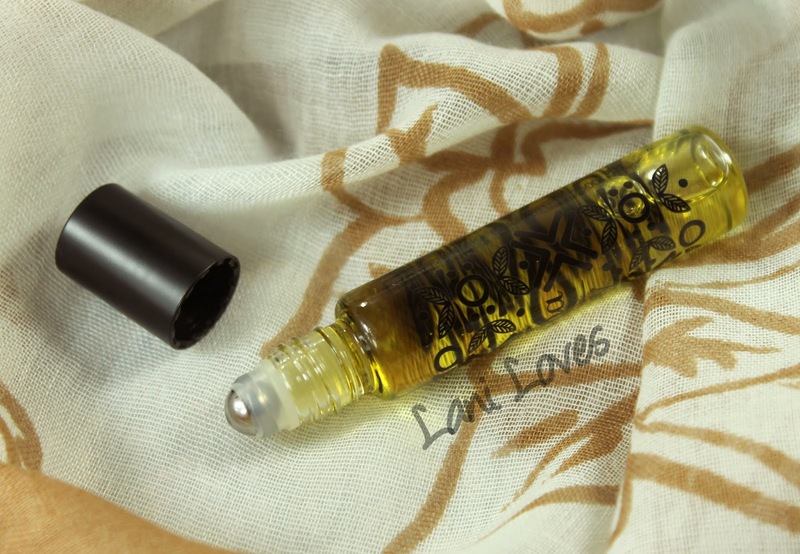 Beautifully presented in a patterned cardboard box, Raha is a rollerball perfume perfect for popping in your handbag. 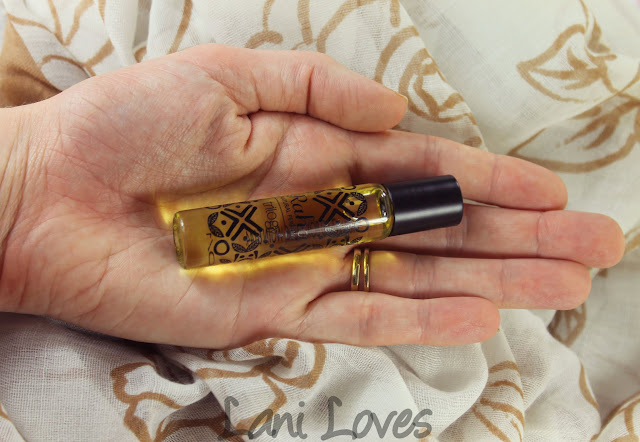 It has an RRP of $24.90NZD for 7.5ml and is very limited edition, so grab it while you can! 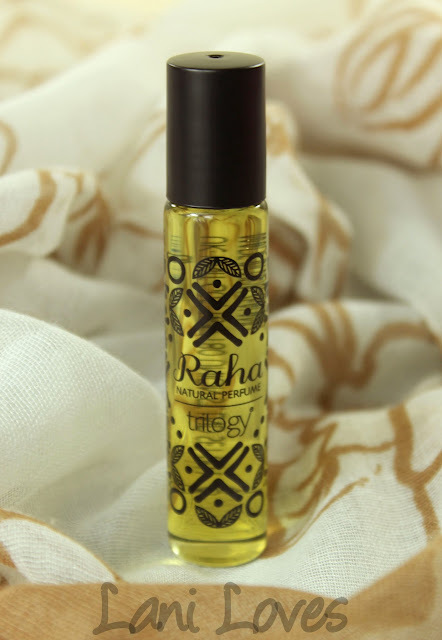 When I first apply Raha, it feels very green and fresh to me, but with a masculine edge, like a hint of spicy aftershave, matching the top notes very well. 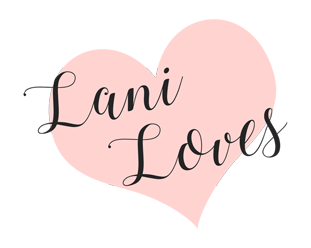 After a few hours it becomes sweeter, more floral but still far from your nana's perfume. It's not a powdery floral at all. I stopped noticing any scent after about six hours. 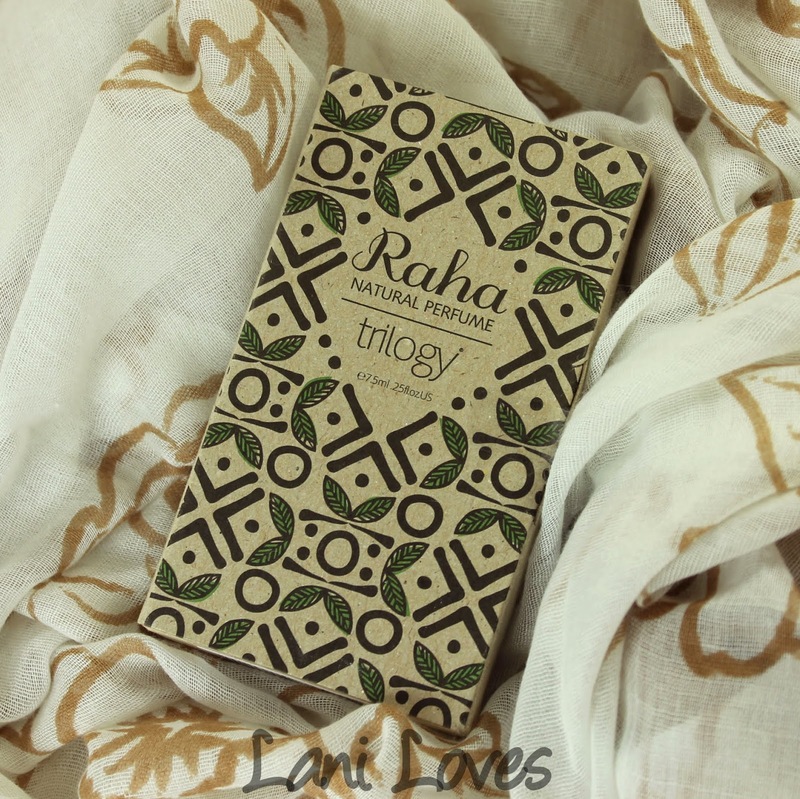 Raha is available from selected Farmers, pharmacy, department and health stores nationwide or on the Trilogy website, but remember, it is limited edition so you'll have to be quick! Will you be checking out Raha?